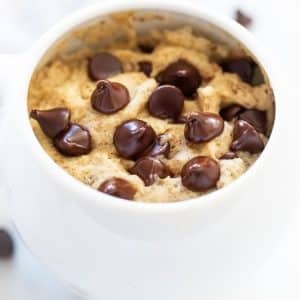 A single serve, Chocolate Chip Cookie in a Mug for those times when you are craving a warm gooey, freshly baked cookie, but don’t want to bake an entire batch. You can quite literally go from zero to cookie in minutes! I made a Chocolate Chip Cookie in a Mug and oh my goodness, someone please send help. Take me back in time to just before I created it. In fact, send me back to before I created my Cinnamon Roll in a Mug and do my hips a favour. The knowledge is dangerous. I don’t want to know. You don’t want to know. Do yourself a favour and run now before you get pulled into vegan mug cake oblivion. Still here? Then sorry but that means nothing can save you. Best get those stretchy pants on and grab yourself a mug stat. In case you don’t already know, I love cookies. I could quite easily eat an entire sleeve if we were to be left alone. So I try not to buy them. But then of course I open the pantry complaining that I don’t have any cookies. 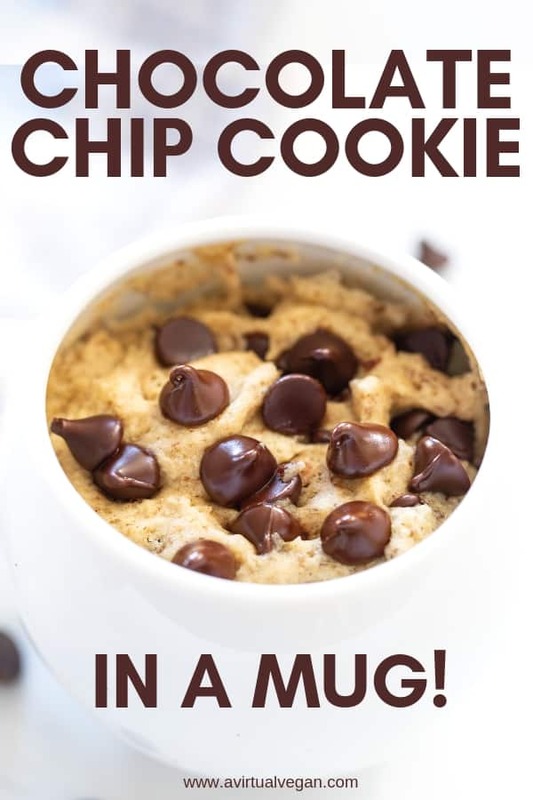 That is where this Chocolate Chip Cookie in a Mug recipe comes in. It’s for those moments when you are craving cookies and want to feed your habit without eating an entire packet full. Your mug is your friend. It represents portion control. It also happens to be your vehicle to a goo-ey, slightly chewy, melty, ridiculously easy chocolate chip cookie made in the microwave. 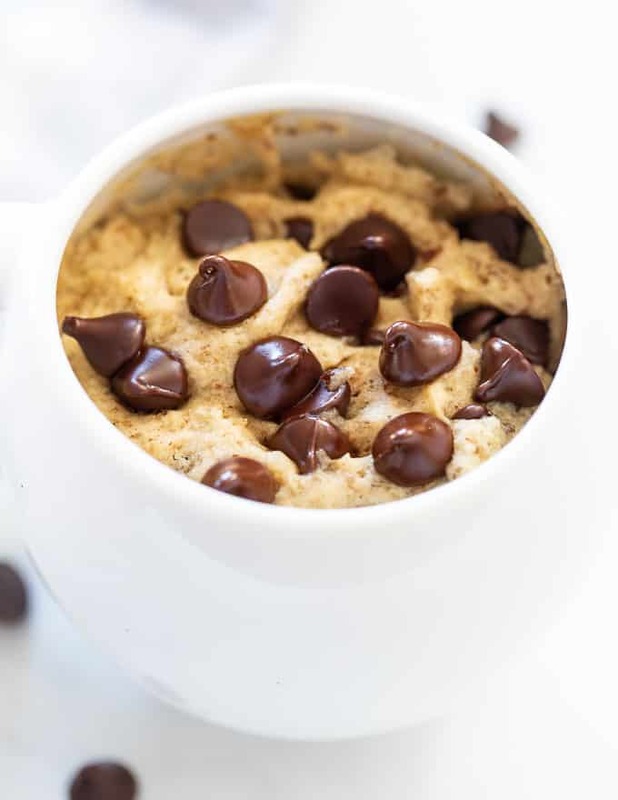 Picture this – You – A mug of Chocolate Chip Cookie – A glass of cold almond milk – A spoon. Your life = next level. So my friends, you are probably wondering just how this Chocolate Chip Cookie in a Mug is done? Very easily is the answer and you need no special equipment, except for a mug, a spoon and a microwave. Yes, this is a chocolate chip microwave cookie with no egg, no butter and no brown sugar. And yet it is so good and so cookie like. 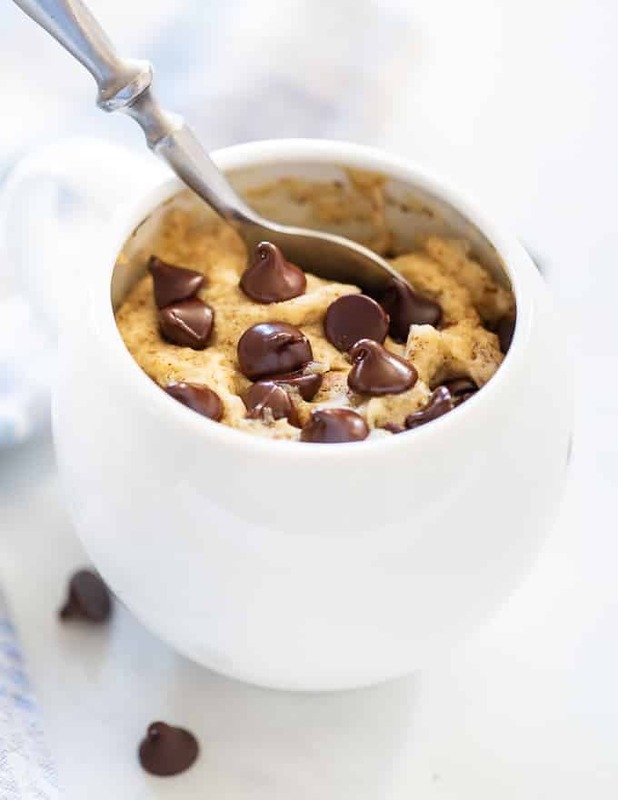 Chocolate Chip Cookie in a Mug we love you. 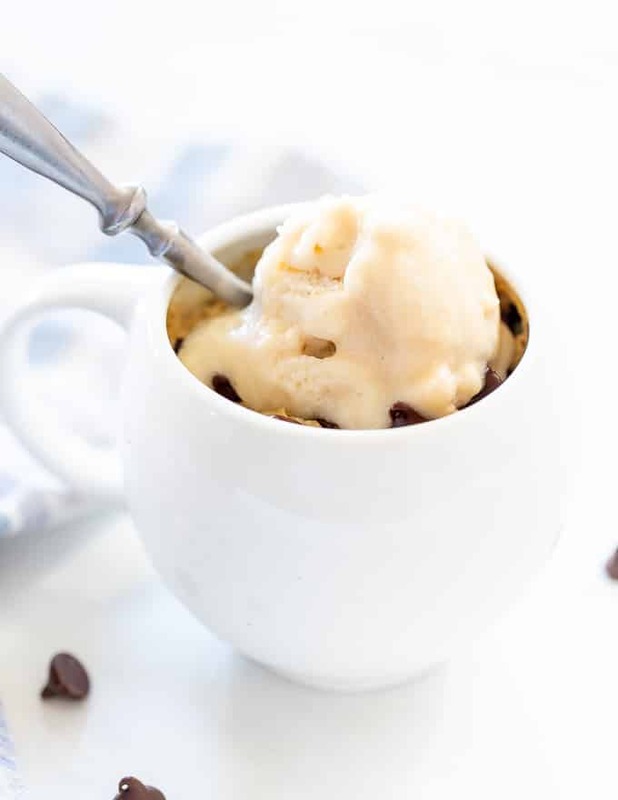 This is basically cookie dough, mixed right up there in a mug, in next to no time, cooked until it is in a state of slightly underdone goo-ey chocolate chip cookie perfection, then enjoyed immediately, while warm, with or without a big blob of vanilla ice cream on the top. Someone stop me now …. DISCLAIMER : I will not be held responsible for the thousands of chocolate chip cookies in a mug that will now get consumed and I am not sorry that I brought this microwave dessert to your attention. And if you love this recipe, please do checkout my cookbook, and subscribe to my email list for a fabulous FREE eCookbook featuring my top 10 recipes. Being on the list means you will be first to see my new recipes and you’ll be kept in the loop on all things new and exciting too! 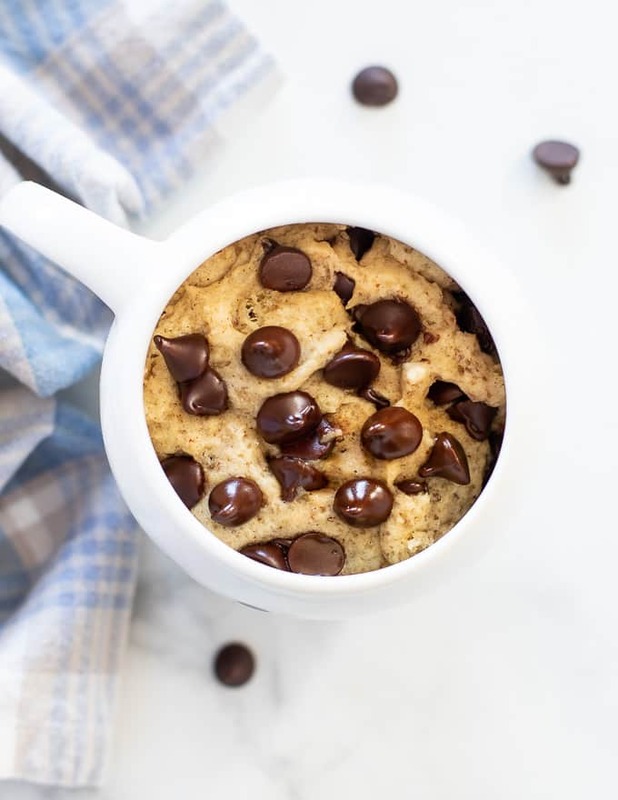 A single serve, Chocolate Chip Cookie in a Mug for those times when you are craving a warm gooey, freshly baked cookie, but don't want to bake an entire batch. You can quite literally go from zero to dessert in minutes! 2 teaspoons ground flax seed , if you don't have ground flax you can omit it. It still works but the texture doesn't get so cookie-like. Don't swap the flax for chia seeds. They don't look good in it and give it a weird texture. ¼ cup / 4 tablespoons all purpose flour (in the UK use plain flour). To make this recipe gluten-free, use certified gluten-free oat flour and increase the amount to 6 tablespoons. To a mug, add the oil (or drippy nut butter), water, vanilla, ground flax, salt and sugar. Stir them up, then add the flour and baking soda. Stir together until everything is combined. Don't over-mix it. Then add the chocolate chips and stir gently again. If you used nut butter instead of oil, you might find that it's a bit too stiff to stir. If so add a teaspoon or 2 of water to loosen it up slightly. Smooth the top out a little then place the mug in a microwave and cook on high for 45 seconds. Leave to stand for 30 seconds to 1 minute before eating for optimum cookie texture. This recipe, with the quantities as stated, makes the equivalent of about 1 cookie. It will not fill a mug. The photos you see here in my post, are of the recipe when doubled, only because otherwise it would have been very hard to photograph. To fill a regular sized mug, double the recipe (you can hover over the servings and slide the slider for the ingredients to automatically calculate) and cook for 1 min 10 seconds, then leave to rest for 30 seconds before eating. This recipe does not turn out so well in the oven but if you want to try, cook in an oven proof ramekin on 350°F for about 10 minutes. If you double the recipe it will take about 20 minutes. LOL – I’m not sure what your definition of healthy is, but at almost 500 calories and 22 grams of fat for one serving this isn’t it! Looks good though! 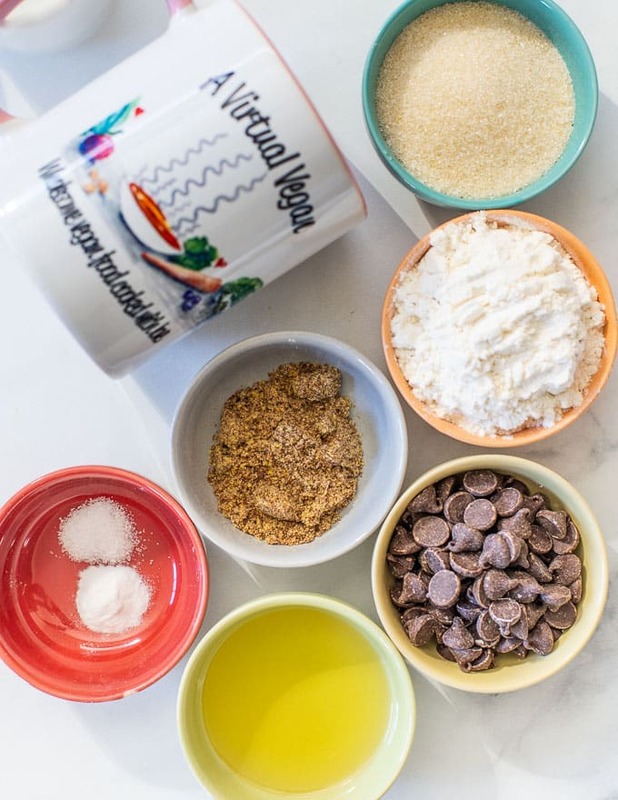 Nowhere does this recipe claim to be healthy. 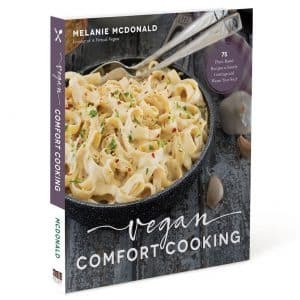 Just because something is vegan does not mean it is necessarily healthy. A lot of the recipes I create tend to be on the healthier side, but there is also some indulgence too because this is real life and I share the food I eat and love. This is so good and dangerously easy to make! I subbed applesauce for the oil and it worked great. Interesting to know applesauce worked well. I didn’t try that in my tests. So pleased you enjoyed it! omg yum!! this looks amazing!! Thank you. Hope you get to try it soon! In my recipes, when I say ground flax I mean the fine flour like consistency one. 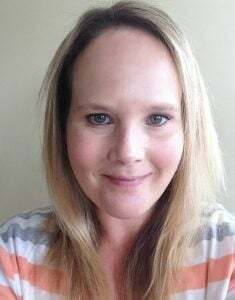 It gels up much easier and I think it works better, plus you can’t see it in the final product. Enjoy the mug cookie Sue! Just made it. OMG. So good! And so easy! My kids are going crazy here. Ha ha, thank you Hayley. I don’t know whether kids going crazy is a good thing or a bad thing! 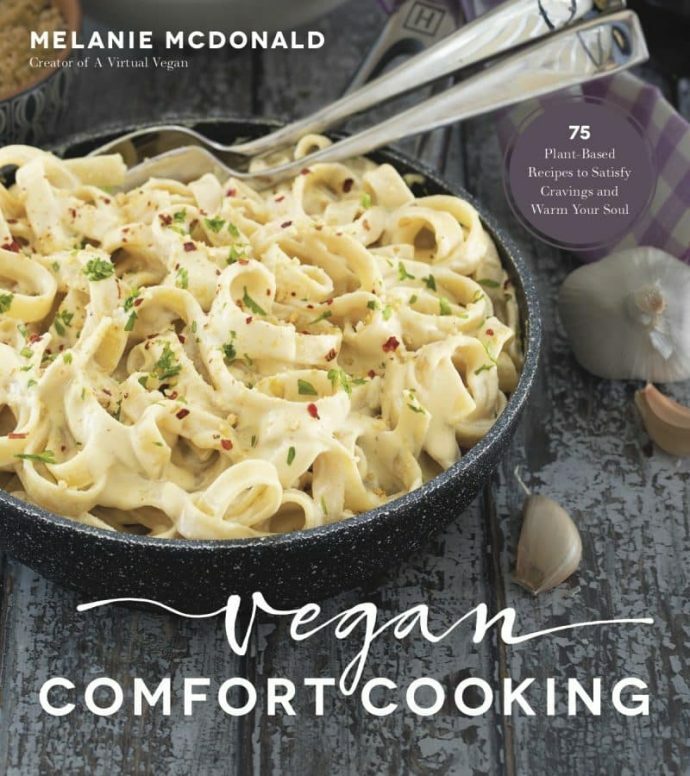 I’m so pleased you are all enjoying the recipe. Thank you for stopping by to leave feedback. I really appreciate it!